A frequent request has been that my SerialCommand library be usable with SoftwareSerial objects. I’ve never had a use for this myself, so I never tried to code anything for it. In order to test this I had to put a setup together where I could be reading/writing to a SoftwareSerial port and still have access to the hardware serial for debugging. For this I used a CP2103 Breakout I bought a long time ago from Sparkfun and had sitting in a box. How old? It has a green-not-red circuit board, that should be an indicator. To make it more complicated I used an entire second computer connected to that CP2103 using our old friend Hyperterminal so I could debug it. I tested this on an UNO R3 and Arduno IDE 1.0.5. This version is now on github. I have not tested it extensively, except to modify the included demo program to see that it works correctly with the SoftwareSerial line. If you have trouble, be sure your SoftwareSerial ports are actually working the way you intend. The library includes a tiny test program that spits stuff out your SoftwareSerial port and your hardware serial port, so you can identify which one is which. As a note, if you used this library before, you now have to include SoftwareSerial.h in your project, even if you’re not using it. Don’t blame me, blame the way the Arduino IDE compiler wants to preprocess things. You could also keep using the old version of the library, as there were no functional changes other than the SoftwareSerial support. Other than the include I don’t think it should have any effect on existing code. 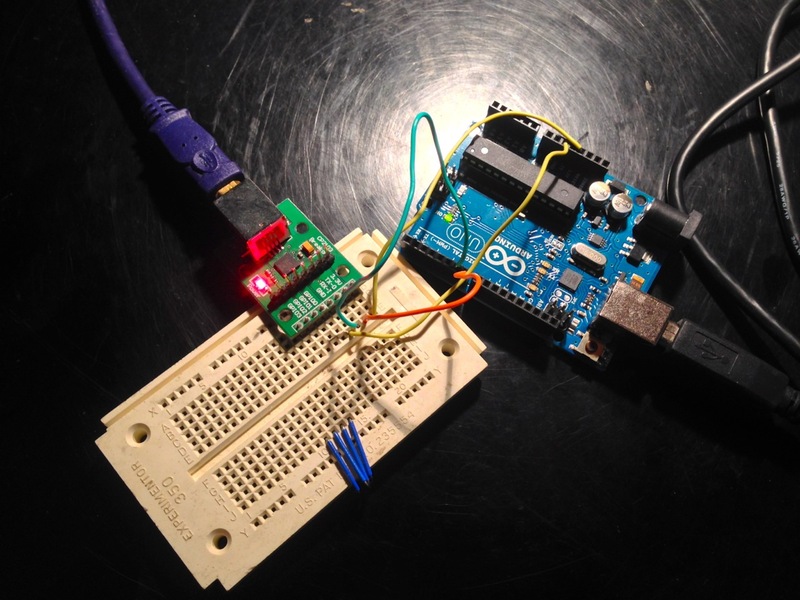 This entry was posted in Microcontrollers and tagged arduino, microcontrollers. Bookmark the permalink.